Studies have shown that games provided better retention over time than traditional instruction. 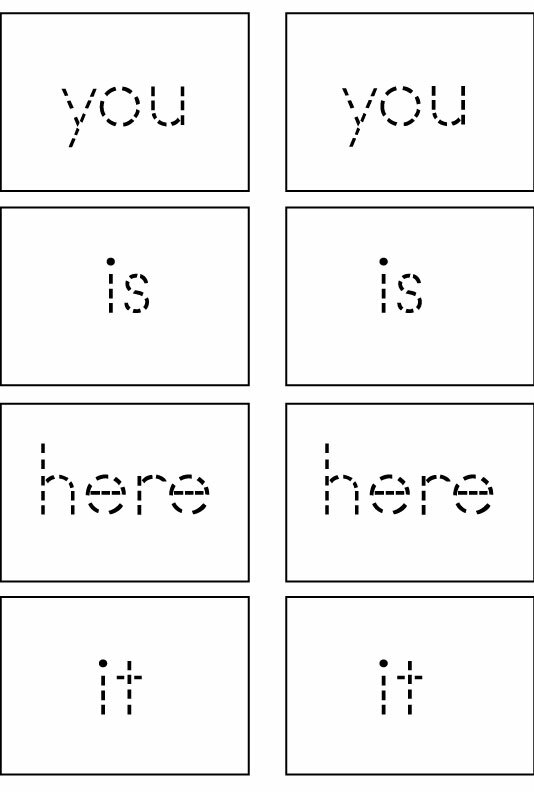 Sight word game cards can help a child develop a sight word vocabulary. 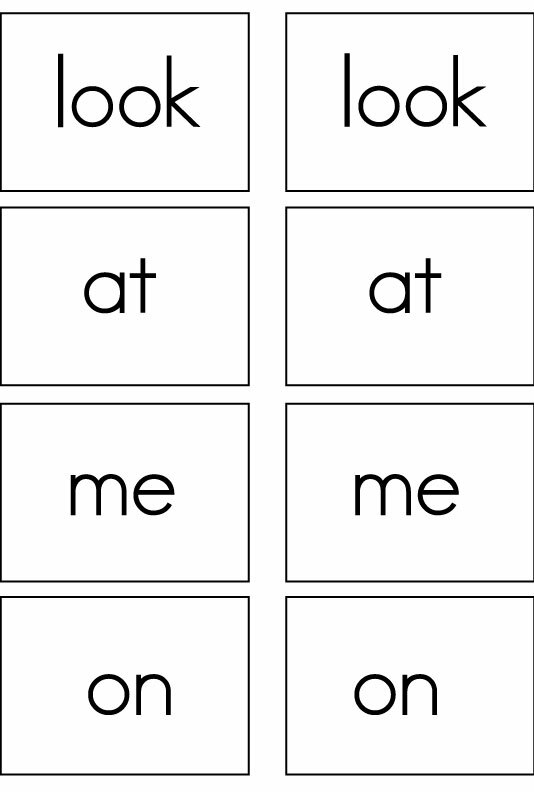 These cards can be used to play pairs (similar to go fish) and concentration (the memory game). 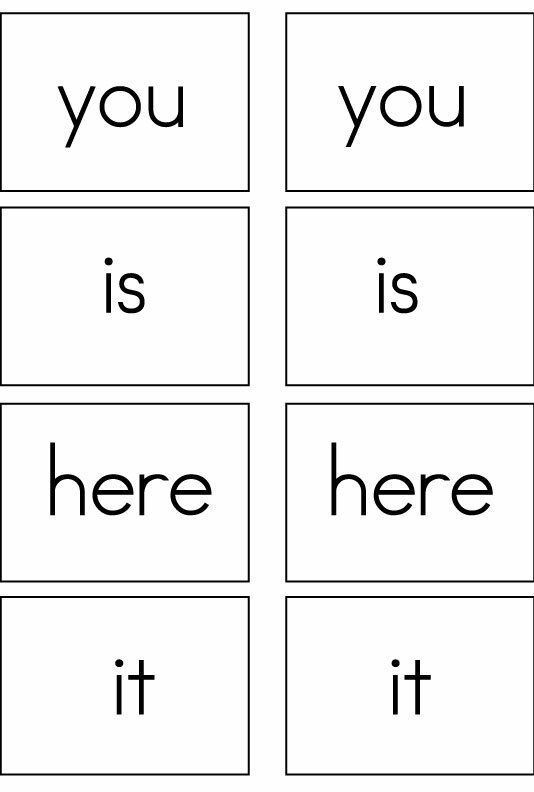 Both of these games are entertaining – learning sight words can be enjoyable when paired with a fun activity. 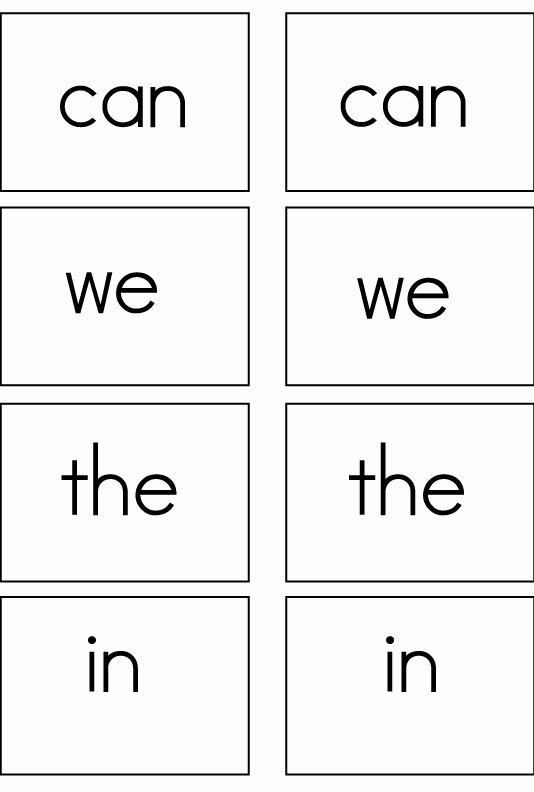 To practice these words, let your child write the words. 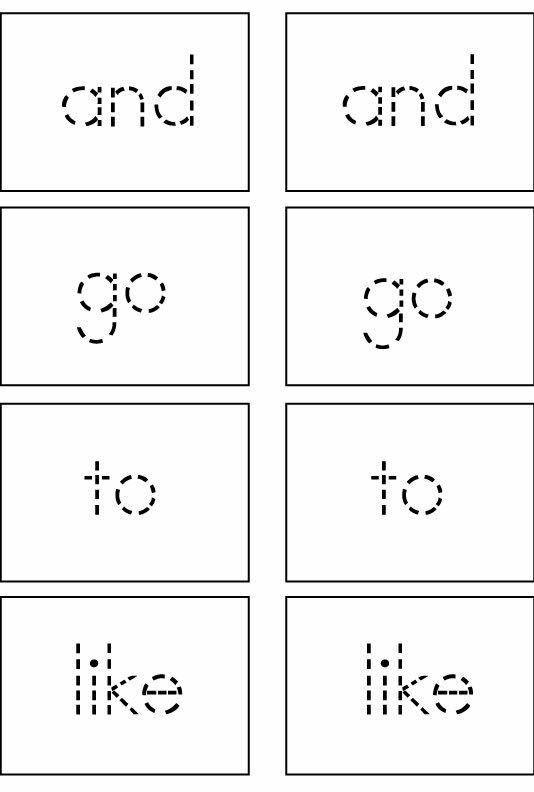 Print out the sight word game cards below that use the dotted font. Let your child trace each letter. 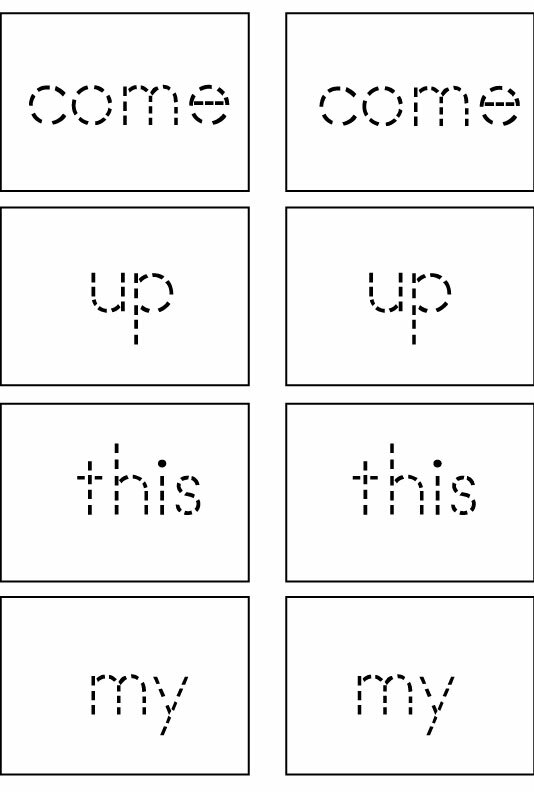 Cut out each card and the upper right-hand corner so you can easily read each words – they will all be facing the same direction. 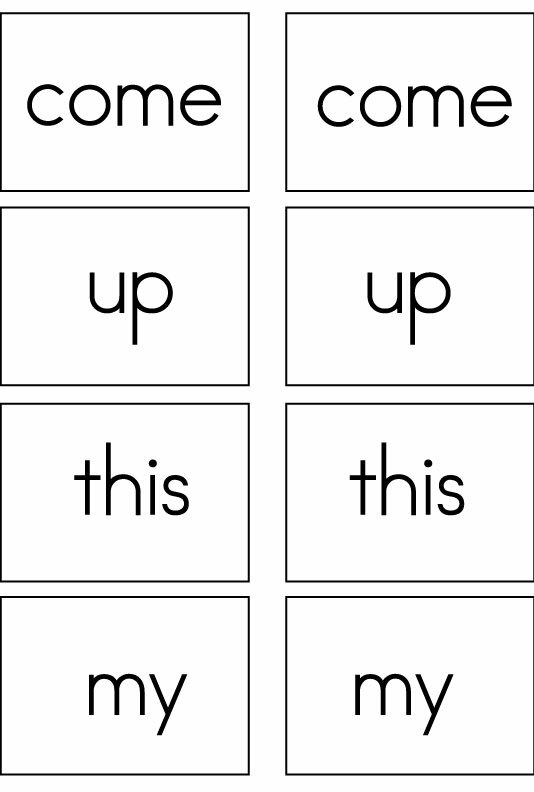 Consider decorating the front of each card so you cannot see the word when playing games or mount onto an index card. I, Am, A & See Click here. 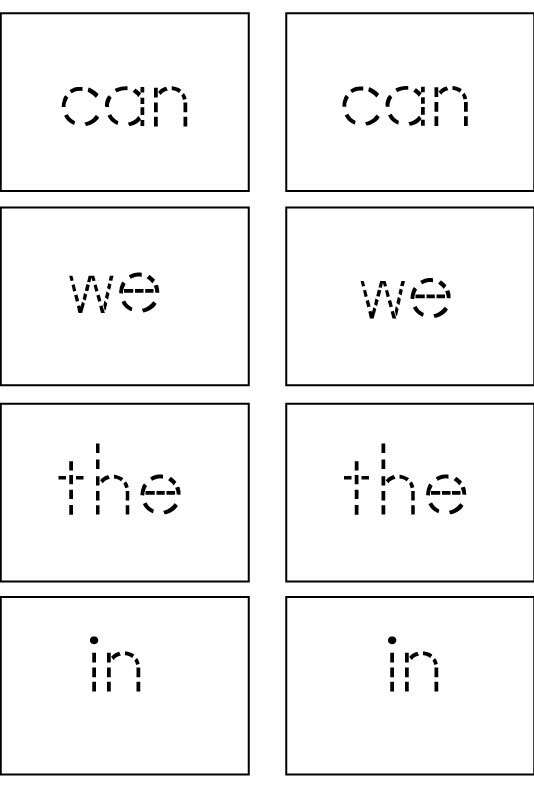 Can, We, The & In Clickhere. And, Go, To & Like Click here. You, Is, Here & It Click here. Come, Up, This & My Click here. Look, At, Me & On Click here. 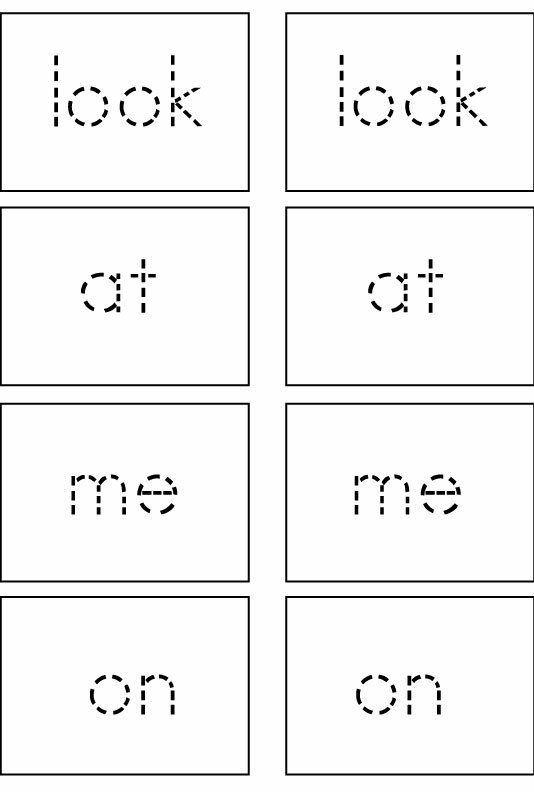 Print out the sight word game cards below. 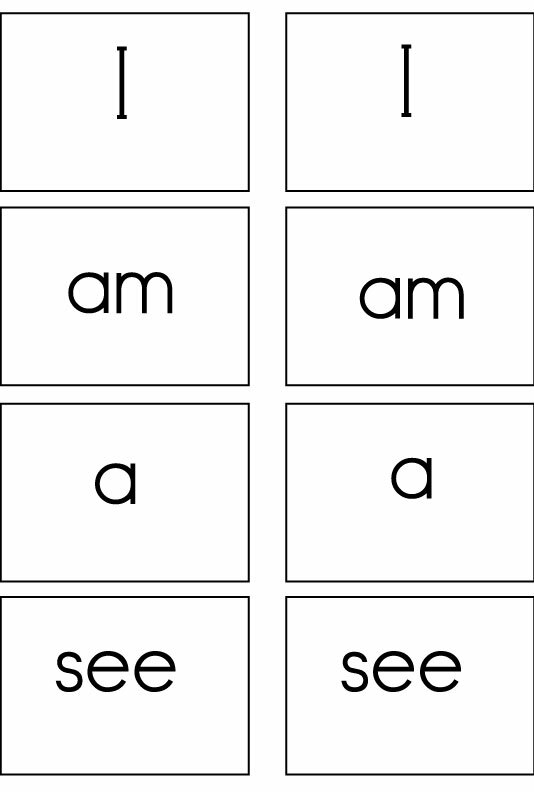 Cut out each card and the upper right-hand corner so you can easily read each word. Consider decorating the front of each card so you cannot see the word when playing games or write these words on index cards. I, Am, A & See Click here . Can, We, The & In Click here. 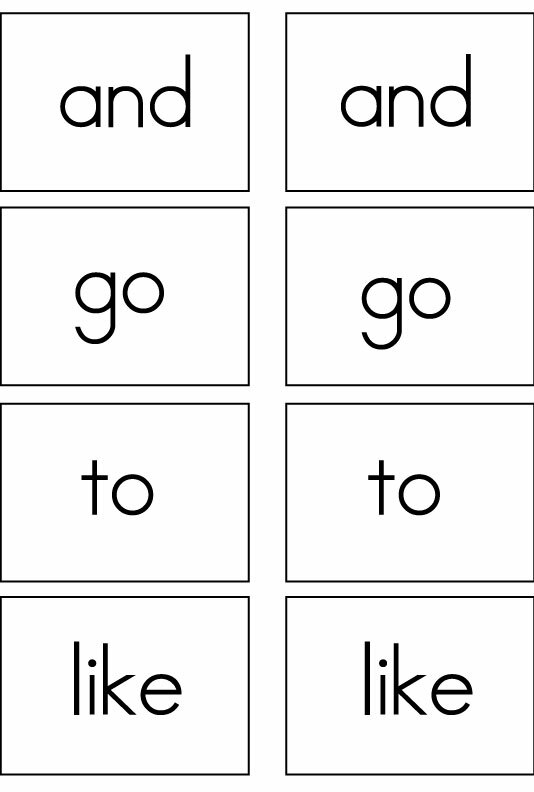 Playing sight word games with your child is an ideal way to help develop a sight word vocabulary. Thank you. 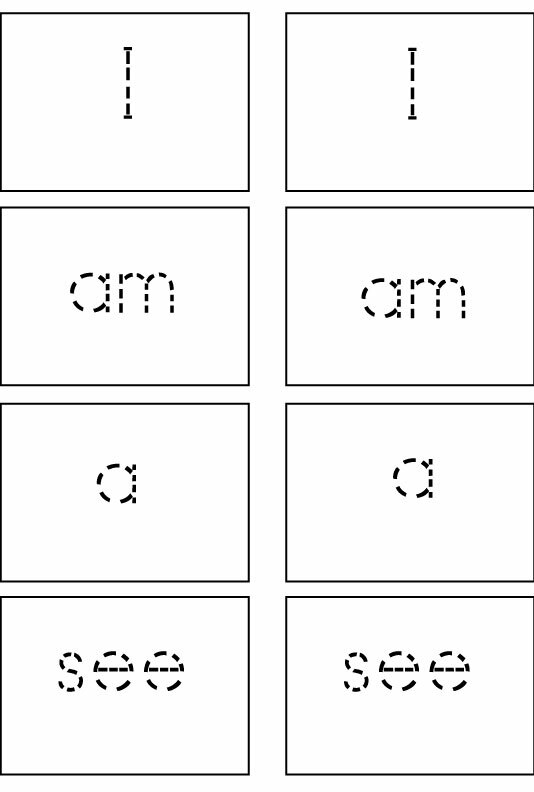 This was a nice starter for a student that needs sight word practice. Tracing the words, writing them and then playing concentration gives multiple opportunities for word exposure.